The University of Wolverhampton was delighted to welcome 20 students and staff from an international partner college to its graduation ceremonies. 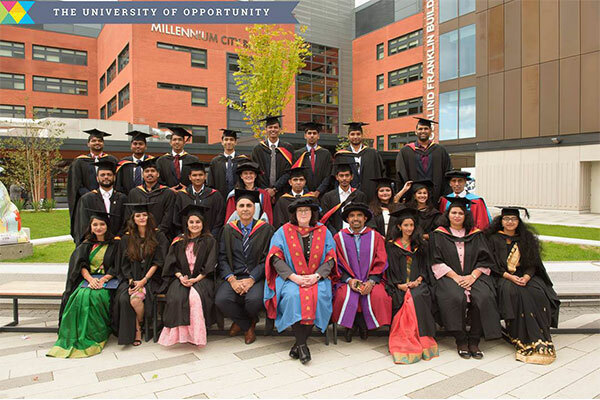 In September 2018, students from the University’s transnational education partner Rustomjee Academy in India attended the graduation celebrations at the Grand Theatre, Wolverhampton. The staff and students were from Maharashtra, Dahanu, a small town in in India. They travelled to the UK to spend eight days with the University and attend their graduation ceremony as this was the first cohort to complete their studies through the partnership.